After fielding countless requests from several artists, Mono created the M80 Ukulele Case. Setting out to design the ultimate solution for the traveling ukulele player, they met with master ukulele builders and world touring players to gather input and inspiration. 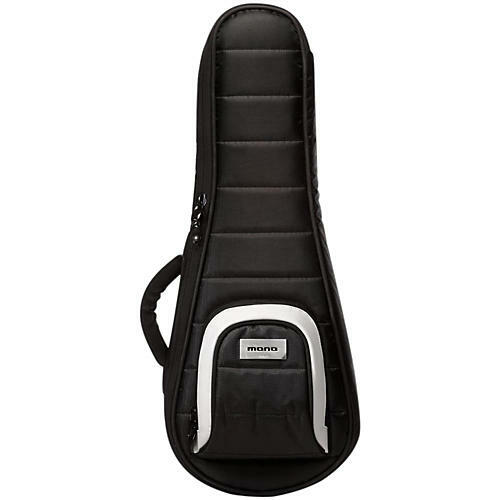 The resulting product brings all of the protection of their M80 hybrid guitar case, at half the size. Integral ABS panels deliver hardcase protection at a fraction of the weight. The reinforced outer shell of the case absorbs and deflects hard imact away from the vulnerable areas of the ukulele. Built to be carried, the M80 Ukulele Case is super lightweight (48oz), and comes equipped with an adjustable, padded shoulder strap. Switch from left to right shoulder configuration using the quick release D-Flex clip. Steel riveted and reinforced, the single shoulder strap can be worn across the body as well.